Vivid Candi custom branded, coded & developed www.quickjetcharter.com for our client, Quick Jet Charter, a high end private jet service. Website features & functionality: WordPress content management system (CMS). Responsive HTML for a seamless experience on Mobile/Tablet devices. 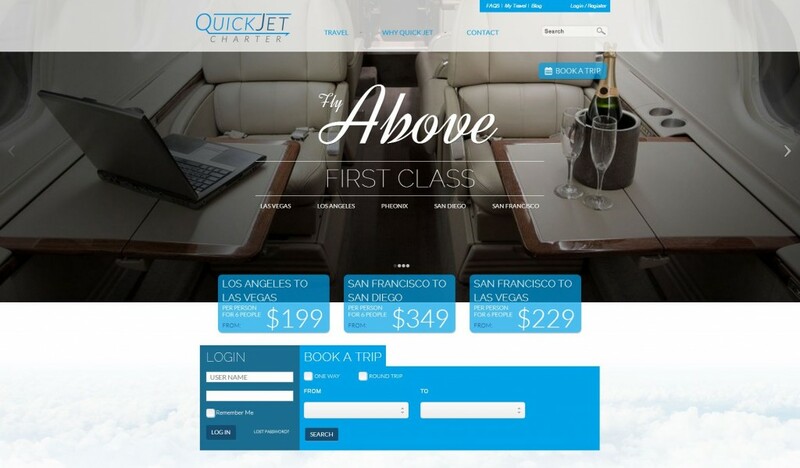 Ecommerce with airline booking. Custom branded design. Touch sensitive mobile friendly jquery image sliders.